The International Print Exchange is an unjuried print exchange with no assigned theme, open to all, that celebrates fine art printmaking. The IPE is a self-funded project organised by Green Door Printmaking Studio. 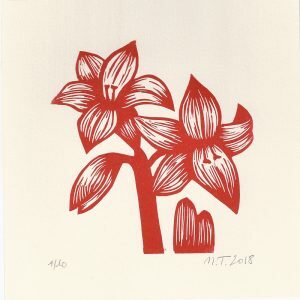 Our goal is simple; to share prints, promote printmaking and showcase the inspirational, accomplished and passionate printmakers all over the world that utilize contemporary printmaking today. In 2019, we will be celebrating our 11th exchange! Lukasz Cywicki is a graphic artist and relief printmaker based in Poland. His work is inspired by photographic fragments, structures and forms often portrayed in his relief prints. John Bergmeier is a printmaker and graphic artist currently based in North Carolina. He works with various graphics, photographs, implements and other materials, assimilating these into his art as symbols and reference points, often incorporating a mixed media and three-dimensional approach. Diane Sandall is a relief printmaker based in Oregon, United States. 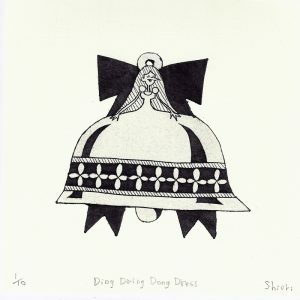 Her work is inspired by imaginary tales and her photography. Kathyrn Bell is a fine art painter and printmaker based in Durham. Her work is inspired by natural objects, colour, movement and texture. Henryk Krolikowski is a printmaker, photographer and digital artist based in Poland. 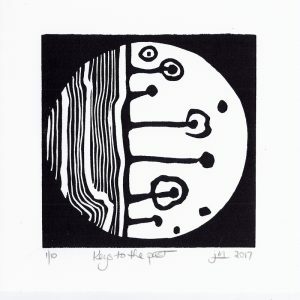 His work is inspired by the human body, and he utilizes graphic strokes and mark-making in his linocuts. 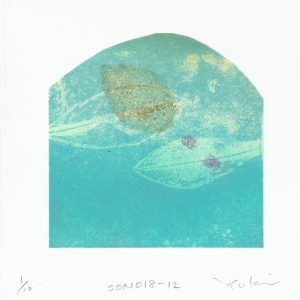 Bill Hall is a printmaker based in the UK that draws from Irish landscapes and decaying buildings to inspire his prints. Penny Peckham is a printmaker and writer based in Victoria, Australia. Her work is inspired by her background in Art History. Ryan Stander is a photographer and printmaker based in North Dakota. His Master's degree in theology and philosophical background often serves as the springboard for his work. Haig Demarjian has been a painter and printmaker for over 25 years. His work is reminiscent of graphic novels and the imagery of silent horror movies. Gina Louthian-Stanley is a mixed-media artist who utilizes encaustic monotype in her printmaking. She lives in the beautiful Blue Ridge Mountains of Virginia. Brandon Sanderson is an Assistant Professor based in University of North Carolina at Pembroke. He has a background in computer programming and developed a love for printmaking after taking drawing classes for fun. Julianna Joos lives and works in Montréal (Canada). 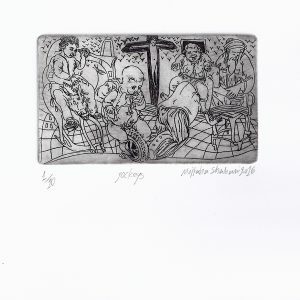 She has been a printmaker for forty years, creating mostly etchings, woodcuts and digital prints at Atelier Graff. 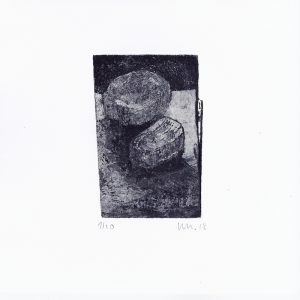 Val McCann is a printmaker working from her home studio based in Victoria, Australia. She works as a teacher, conducting courses for both children and adults. 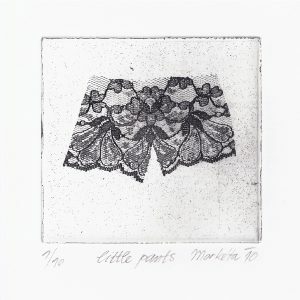 Linda Whitney is professor emeritus of art at Valley City State University who specialises in mezzotints. She works from home in North Dakota, United States. Barbara Zietchick lives in Pennsylvania, United States. 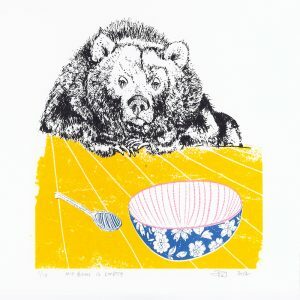 Her travels throughout the world and love of color and animals has inspired her to create etchings, monotypes, collagraphs and screen prints to celebrate her love for the process of printmaking.